Offer your customers a stress free payment experience. Never be victim of a fraudulent transaction again. Klarna take all the risk so you always get paid. Offer your customers payment after delivery. You get paid as normal, 3 working days after the transaction. Your customers will then have up to 14 days to settle the payment with Klarna. 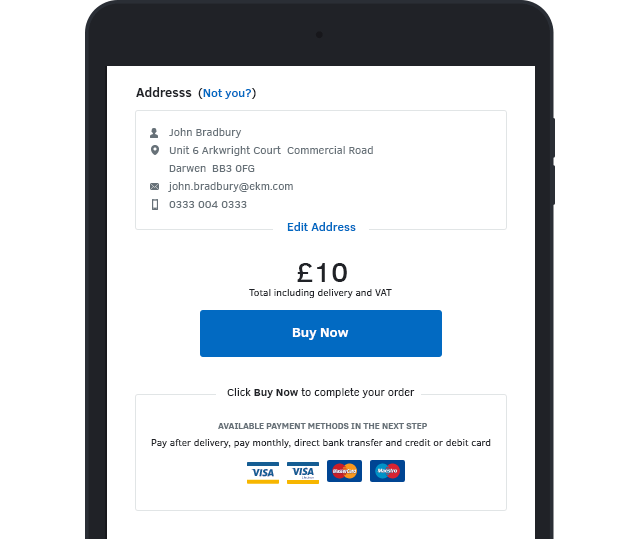 Give your customers no excuse to abandon their order with Klarna's hassle free checkout. With Klarna, you only need one solution to offer all of the popular payment methods, saving you both time and money on administration. 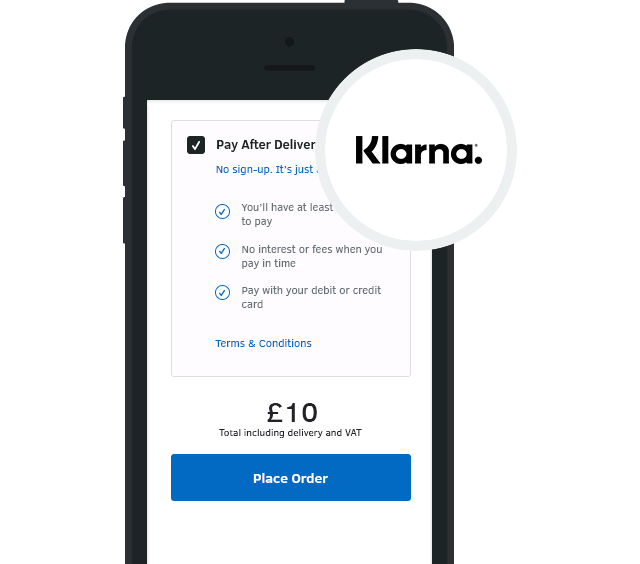 Klarna checkout is included as part of your shop with no extra monthly setup or fees. You can find more information about our Plans on our Pricing page. Klarna take all the risk so you always get paid. 100% secure checkout. Klarna simplify the buying process, making it easier for customers to complete a purchase.